The trust is difficult to quantify but it’s of great value in business. 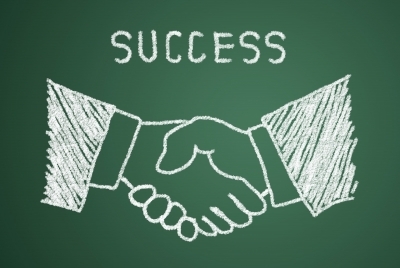 More and more professional relationships are created shaking hands online. Businesses must create more and more often relationships with the stakeholder based on trust and credibility. And to do that they use social networking sites, where every day millions of people interact with each other. But sometimes is not easy to be able to create valuable and long-term relationships, especially online. I list then below 6 rules, as keywords of great importance to keep in mind to bet on successful relationships and become an online authority. Giving a business card to a potential customer is very different from presenting themselves on social networks. On different platforms, you just need a click to know in real time who you are, where you work, what are your references. For this reason, in order to build a authoritative professional online, you first need to know which tools you can use. It’s not enough a small description in your about me page or on your online business website, you need much more to be able to gain the trust of your audience. You could have spent a large part of your budget to customize your Facebook brand page, to create a beautiful background on your Twitter profile and to have a good looking website, just came out from the study of web design, but you need more than this to prove who you are if you want to inspire confidence. It’s therefore necessary to improve your social influence and gain trust when you address your content to your readers. What can be the strategic content to convey confidence and increase your social proof? Between words and facts there must be coherence. You can not use big words to appear a guru, and then you are not be able to meet the needs of your users, as you risk to lose their trust. Therefore remember that both in your online and offline activities, you have to be the same personality while maintaining a line of consistent behavior. Lying is useless if not negatively affect your brand and name awareness. Contacting key people to learn from can be very helpful to improve your online presence. In addition to this, a new contact can become an opportunity to discuss about your business or topics, as well as being the basis for new work partnerships. Devoting time to research will result in the creation of added value arising from your active online presence. This gives you a wealth of information and contacts to create a circle of relationships and connections of your interest. You should avoid talking too much about yourself, aimed exclusively at your objectives and goals. Try instead to be an example from which to draw inspiration. You could be able to archive this, educating your users, creating dialogue and writing compelling and engagine content. In this regard, you may want to read : How to Write an Article – Writing Tips from a Professional Writer. Anyone can learn how to use social networks, but it is the ability to create dialogue and build true relationships that sets you apart from the crowd. So you should ask questions, comment on other authoritative blog posts, look for discussions of your interest and contribute, in order to establish a relationship of respect and trust. Your blog should be as inviting as possible, so be sure that users can easily share your content with the most important social media platforms. Remember to use a language oriented to your ideal audience and if you are unable to reach the level of engagement that you had set, do not be afraid to ask suggestions to your users. The first and golden rule I learned since I started blogging and online business is that you need to build online relationships within your market and niche. The benefits of strong relationships are easily quantifiable, and not just online, or in business, but even offline, in real life, such as friendships that last a lifetime. Please answer me within a comment below, thanks! I think Social interaction is fruitful nowadays because over there you can easily generate business plus leads. That’s why mostly companies are doing and they are getting leads as well. it’s a source of visitors more stable and safe than organic traffic. Hope am following few ways which you’ve listed here to improve my online presence and to build online relationship. Sure, will follow the missed ways. I really like the last two points and these are most important to be considered by the bloggers. Thanks for your feedback here, Nirmala. This is really a very interesting post indeed. When it comes to Blogging, if you really want to become an authority then, one of those things you can not ignore or joke with is building relationship with other bloggers and your readers as well. Thanks for sharing this with the bizsugar community. This Line was awesomemost.. Lol!!! You explained the points very well …I had few questions when i first read the title of this article …and my questions have got answer in few of the points of this article.Thanks for solving my queries and thanks for sharing this article wit us. Happy you enojoyed the content, Pramod. Hey there Erik… Great post man! I know when I started online, I did everything opposite of what you share here and needs to say, in showed in the results I had. I think that most struggling marketers are so eager to make that first buck,that they completely ignore things like building trust and relationships…. I know I did! Thanks again dude for the great content! Glad you liked the content, Anthony. Indeed relationships are very important online, since the begin of your journey as blogger or internet entrepreneur! Nice article ! being active on social sites does help to create awareness about you as a blogger and the brand as well. Every small or big businesses should have a strong online presence on the mayor social media networks. Thanks for the comment, Dhiraj. I have been working online now for about 3 years and when I first got started, I used to set up several niche sites relying totally on organic search engines. Now I realize that is not the best way to build a business. If you don’t build those online relationships, then you will never have a true business. I am currently working on ways to improve my online presence and at the same time build a business with my readers on my blog. It’s good to hear how we are many who share the same experience, and how through years we learn the importance of online relationships and true great connections. my personal opinion is creating and maintaining the online dialogue is the most imporant success factor in this game…! One important factor that I myself have slipped on in the past is staying in touch with the relationships you have begun to build. Just like in the offline world if you are gone for too long people start to wonder and if or when you do finally reappear they will be cautious and you will have to restart the relationship building process all over again. That’s pretty much like the offline life. I mean, there are Real People behind the screens of those computers you are talking to! Such a great article about building a good online relationship with based on trust. I can’t agree more with your 7 points. Online relationship is quite different with reality. The truth in the Internet is not as high as reality then how to persuade the audiences is harder. Your tips are very useful. Please keep sharing. Thanks for your feedback here, Martin. Great Article By you on building relationship online social proof is the important one to build relationship online. Very nice post. When it comes to Blogging, if you really want to become an authority then, one of those things you can not ignore is building relationship with your readersl. Thanks for sharing this. Creating new connections and building relationships online is vital for any business, or for your website success. Thanks for confirming this point, Baibhav.